What exactly is LASIK (Laser in Situ Keratosmileusis) technique? Nowadays, LASIK refractive technique, also known as Laser in Situ Keratosmileusis is the most prevalent method used to eliminate common refractive errors (myopia, hyperopia, astigmatism). The procedure is based on a membrane (peel) formation, known as corneal flap which is lifted just before the laser application (ablation). Initially, local anesthetic drops instilled to the eyes, so the whole procedure become quite painless. Then, with the help of a special device, called mechanical microkeratome (or keratome), the very thin membrane (visually looks like a contact lens) is generated on the corneal surface with great accuracy and safety. In fact, this is the flap which is easily lifted (not removed) via a special surgical tool. 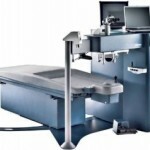 What follows, is a highly accurate reshaping / remodeling of the cornea (curvature alterations), by using a cutting edge flying spot excimer laser technology. 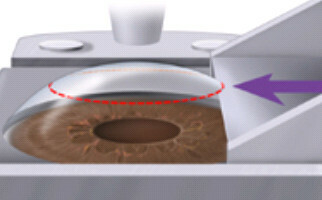 At the end of the laser ablation, that circular part (as petal) of the cornea (flap) is repositioned and heals in a few minutes (the big difference comparing to PRK technique – quick recovery and healing). In LASIK there is no need of protective, therapeutic contact lenses since there is no epithelium removal. 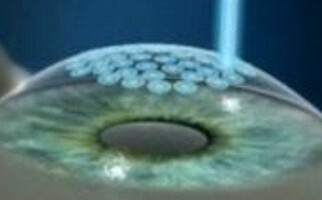 Furthermore, corneal flap formation procedure can be achieved with enhanced safety by using a femtosecond laser system (bladeless, all-laser procedure) with enhanced security. 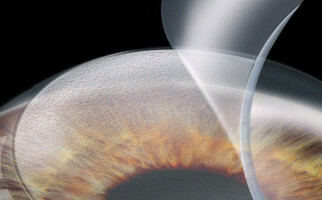 LASIK procedure takes only 20 minutes for the both eyes. 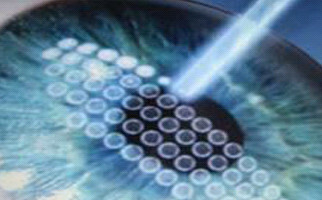 What exactly is excimer laser’s role in a refractive procedure?